signs and symbols presents a musical intervention by artist Rhys Tivey for the closing of Rachel Garrard's Primal Forms. 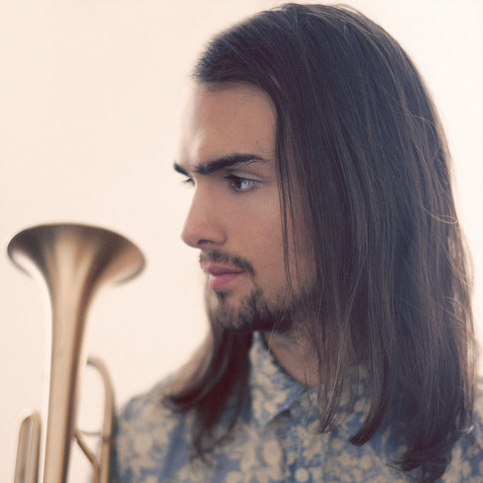 rhys tivey is a trumpeter, singer, songwriter, composer, and producer. In addition to performing material from his indie 2017 album, Backward EP, with his band in NYC and LA, Tivey performs as a solo trumpeter, transforming, layering and looping the instrument in a cascade of experimental sound, bridging influences of avant-garde, noise, blues, jazz, and orchestral classical. The debut of this solo material came with the commissioned performance accompaniment to the 2017 John Chamberlain Foils exhibit at Longhouse Reserve, presented by Gagosian Gallery. Tivey absorbed classical composition sensibilities while performing trumpet at Carnegie Hall, Tanglewood, and Dvorak Hall in the Empire State Youth Orchestra from 2001 - 2008. A graduate of the NYU Jazz Department, Tivey collaborated with Jean Michel-Pilc in 2014 to record a contemporary jazz project, No Voice No More.